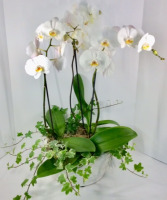 This large triple orchid garden will surely impress that important someone! 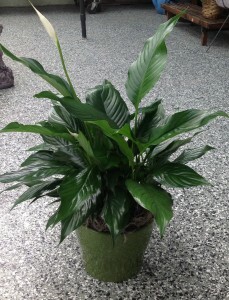 It has 3 phaleanopsis orchids and 3 ivy plants in a 12" ceramic bowl. 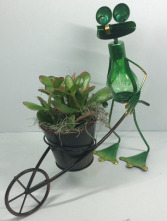 This cute metal frog Planter has a succulent in it. A very cute gift for that special person!